On through life, let come what may. He'll be there to lead the way. When the nights are dark and long, In my heart He puts a song. Telling me in words so clear, Have no fear, for I am near. I love Jesus does He know? Have I ever told Him so? When my work on earth is done, And life's victories have been won. 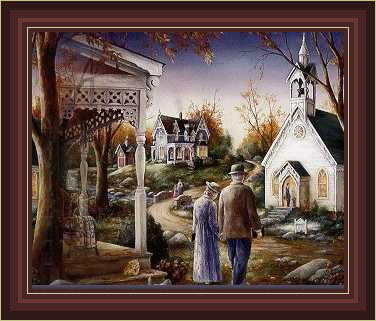 "Cherished Moments: The Art of Paula Vaughan"